SK and Barangay Elections are set on October 28, 2013. 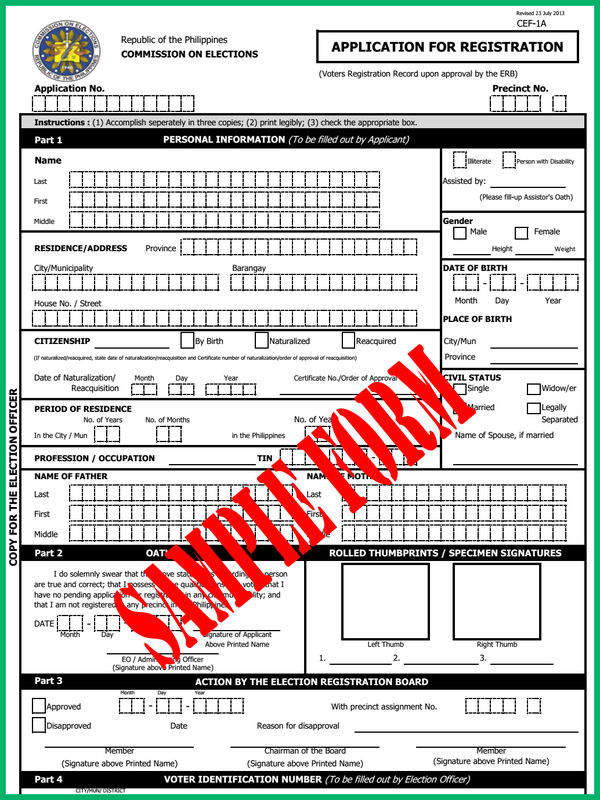 The Commission on Election has announced that voters' registration nationwide has started July 22, 2013 until July 31, 2013. COMELEC offices nationwide are open Saturday and Sunday to accommodate the registrants. The Comelec as per resolution pointed out that police clearance is not valid as proof of identity for those registrants who wish to be registered or transferred voting residence or precinct. 11. Any other valid ID. However, the latest Comelec Resolution No. 9750, dated 26 July 2013 has excluded PNP clearance from the list of valid documents as proof of identity. Police clearance is not valid anymore as a proof of identity of any registrant. Bulk of registrants is taking a long queue to take their turn. 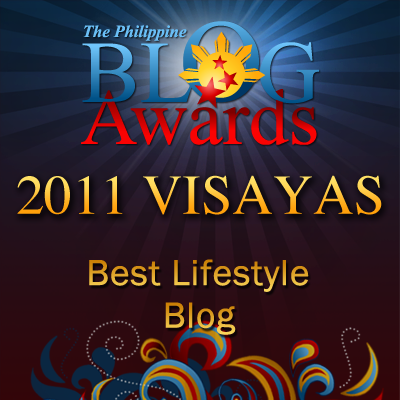 There is an option for those prospective registrants not to fall in line just to get the registration form. 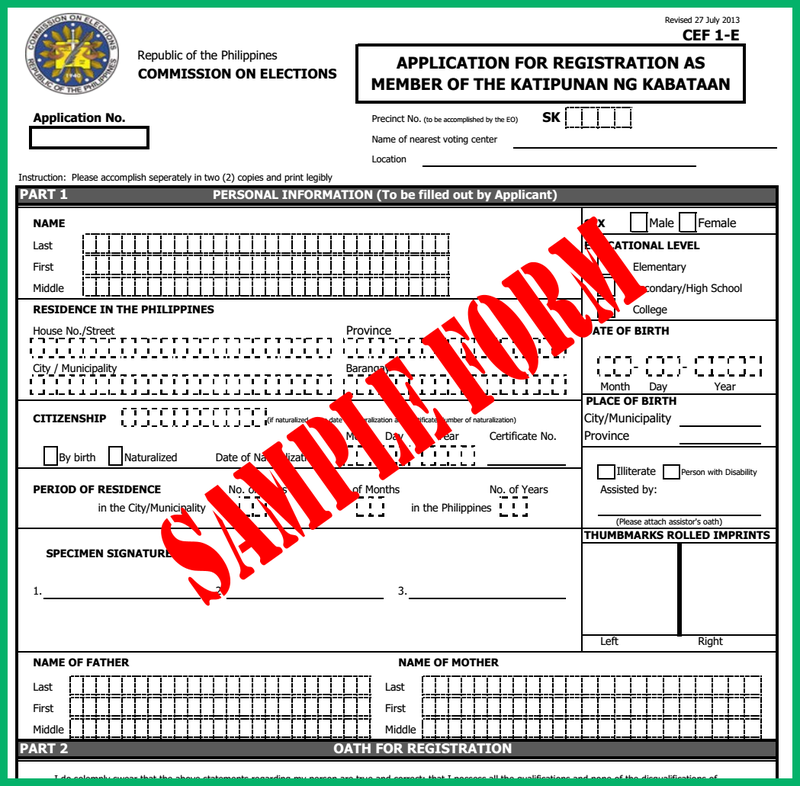 The Comelec website has provided the option to download the said form. 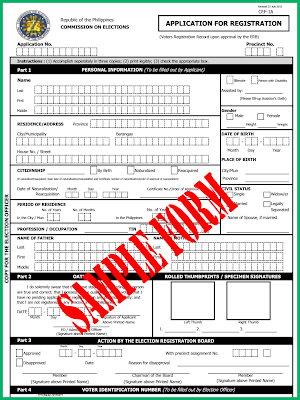 SK registration form filled via online will have a pre-numbered sheet with no Comelec Logo watermark unlike with the form issued by the respective local Comelec offices. 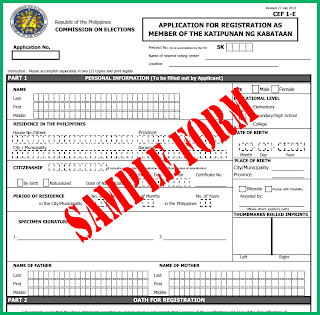 After filling up the required information, the registrant may visit to their local Comelec to validate his/her registration and for further validation like picture capturing, among others. Voters, don't waste your time. Take your part and be counted. Exercise your right to vote by properly registering yourself to the nearest Comelec office for SK and for Barangay elections.